In 1988, there was a movie called Big, in which a little boy wished to be well, big, and woke up an adult the next day. 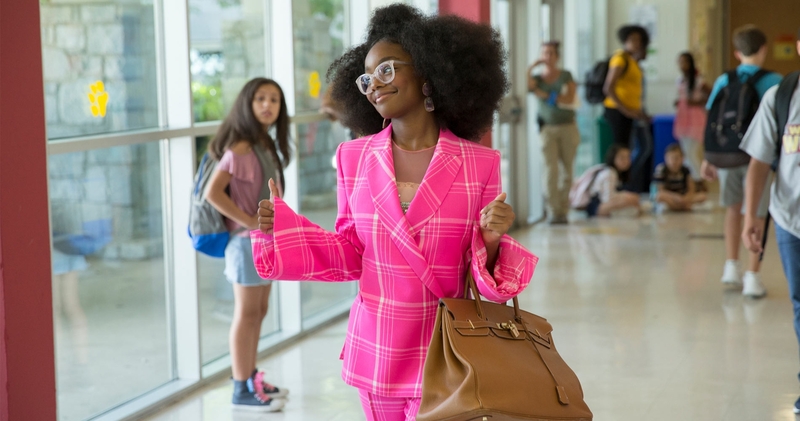 But in the 1-9, Marsai Martin (from Black-ish) is hittin’ us with an updated twist — Little. Word about this movie, which sees a grown Black woman waking up little (obvi) one morning after getting on the wrong one’s bad side, hit the streets about a year ago, and today (Jan. 9, 2019), the first trailer finally dropped. Conceptualized by 14-year-old Marsai, herself, after being inspired by the O.G. ’80s film, this movie also sees her starring and executive producing, making her the youngest Black executive producer in history. Based on the trailer (see below), the story line goes a little something like this: Business baddie (Jordan Sanders) who’s let power go all the way to her head, bullies her employees and generally anyone else who crosses her path. One day though, she crosses a kid who is having none of her attitude. The kid wishes Jordan was little again, so that she could be checked real quick. The next morning, the wish is granted and Jordan is hella shook.